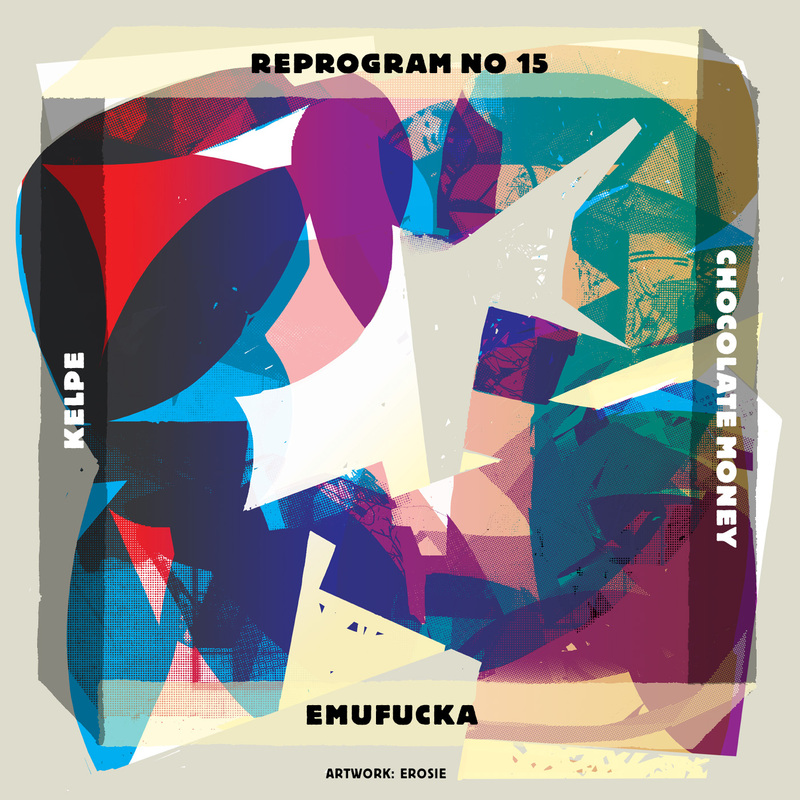 ‘Chocolate Money‘ is the title track of Kelpe‘s EP for Fremdtunes, released exactly 3 years ago. As a young teenager Kelpe decided that sampling and sequencing might provide him with a safer past time than bone splintering skateboarding mishaps. The initial efforts made on a Commodore Amiga with a sampler provided him with a discipline and focus that is of fundamental importance to the creative process that he currently employs in the execution of his distinctive beat creations. The diversity of the music that inspires Kelpe finds reflection in his own sonic adventures, informing his ever evolving sound, combining as map and compass to guide his lunar-bound b-boy throw downs. Kelpe released music on DC Recordings, Black Acre, Fremdtunes and his own Drut label amongst others. Emufucka took on the job to remix Kelpe’s original. Takafumi Sakurai aka Emufucka hails from Tokyo and is a true future beat wizard. His blissful electronica-fuelled rhythm sculptures have already created a decent buzz amongst today’s worldwide beats & bass scene. He collaborated with Count Bass D, DZA, Quarta330 and My Dry Wet Mess among others, joined Red Bull Music Academy in 2013 and signed singles and EPs to imprints such as Alpha Pup and Citywurl. Emufucka released two EP’s on Fremdtunes (‘Planar Rift‘ and ‘Retrace‘) and a 7-INCH with Coco Bryce. (2012). The remix is mastered by Collin Visser (Takumi Audio). Jeroen Erosie designed the artwork for this remix. The work of Erosie is rooted in various disciplines, from graffiti to conceptual art, from illustration to typography. Jeroen connects these seemingly segregated areas in a natural process, reflecting his personal thoughts, doubts and experiences while constantly evolving his visual output as a result.